Page rank only matters if your pages are actually SEEN by search engines. And just because your site has some pages indexed doesn’t mean ALL of them are indexed. How would you know? What about when you add your new best-sellers to a category? Search engine results might still show the old content: what gives? Well, just because a search engine indexes a page, doesn’t mean it will be re-indexed when YOU need it! If you used Moogle you wouldn’t have to worry - Moogle can get every product, category and relevant Merchant page indexed by Google (and other search engines.) 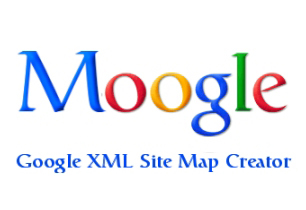 And Moogle will tell them when to re-index and how important that page is relative to other pages in your site. Help you get every page of your site indexed so your customers find more of what they are looking for. Improve the timeliness of re-indexing providing fresher search results to your customers. Ensure that the right page is shown first to your customer (e.g. a product page versus a category page). Save you days of time trying to setup an XML Sitemap, and hours a week keeping it updated. Works with all Miva Merchant 5.x stores.